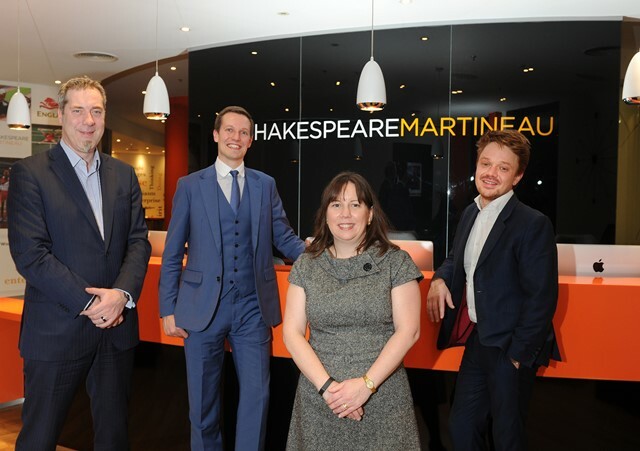 Law firm Shakespeare Martineau has promoted two of its East Midlands team to associate partner, in the latest in a long line of high-level appointments and promotions at the firm. The two new associate partners are Victoria Bovington, a commercial property lawyer in the firm’s Nottingham office, and Richard Thurling, a planning lawyer in the Leicester office. Both solicitors have over 10 years of experience in their fields and strong community ties within the East Midlands. Ms Bovington is well-known throughout Nottingham for her expertise in all aspects of real estate law, as well as her proactive approach in providing realistic and practical solutions to disputes. She has built up strong relationships with a host of clients, including banks, healthcare providers, pharmaceutical and life science companies. Mr Thurling also has a distinguished track record for giving commercial and pragmatic advice to both private and public-sector clients. Whether consulting with clients or tackling claims around major developments, planning agreements, he is known for his approachable style and dedication towards providing the very best legal services. “By continuing to both attract the best professionals from the surrounding area and also promote top talent from within, we can be assured that our team will be best equipped to handle and support our clients throughout the growing East Midlands legal scene,” said Head of development Jay Lutwyche.